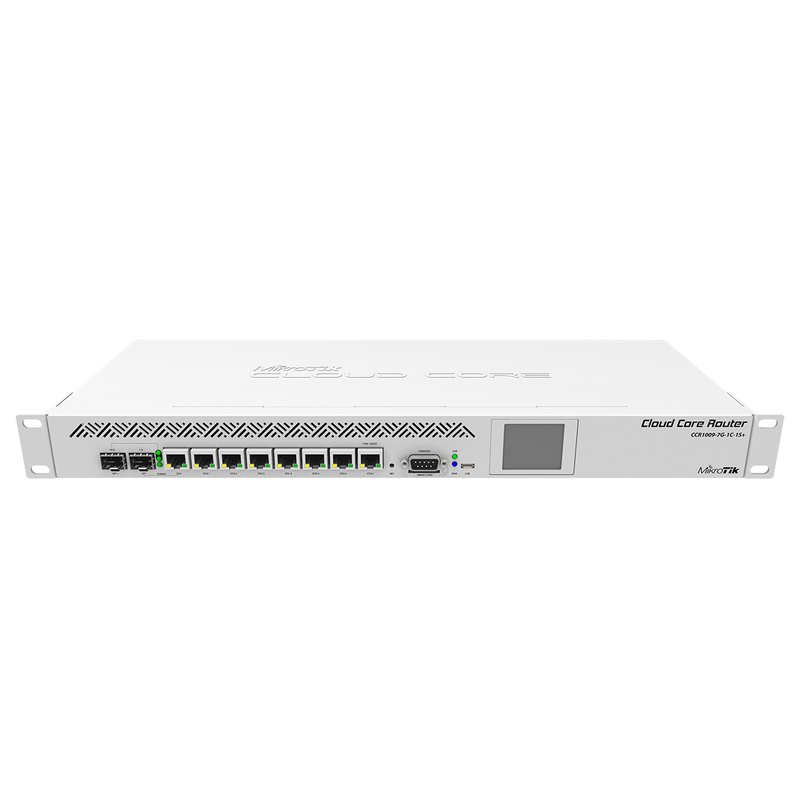 CCR1009-7G-1C-1S+ comes with 2GB of RAM, seven Gigabit Ethernet ports, one SFP port and one SFP+ port with 10G support (SFP module not included). The unit is equipped with dual power supplies built in for redundancy (if one power line fails, the other one will take over automatically). The CCR1009-7G-1C-1S+ comes with a 1U rack-mount case and supports a Smart card, to store your private key for use in all features that support Certificate based authentication. SFP+ port supports SFP (1.25G) modules.